He flew swiftly up to that branch. Perched he rotated is head and surveyed the area. I snapped with camera in hand. Categories: Random | Tags: Birds, Random | Permalink. The furry creature that can nap in any urban jungle. 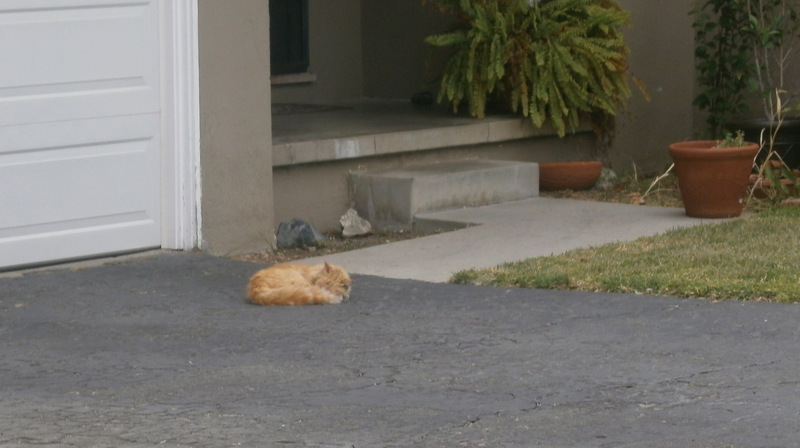 The warmth of the concrete greets his flexible and lethargic body. The soft breeze and gray air entices him to relax his guard. 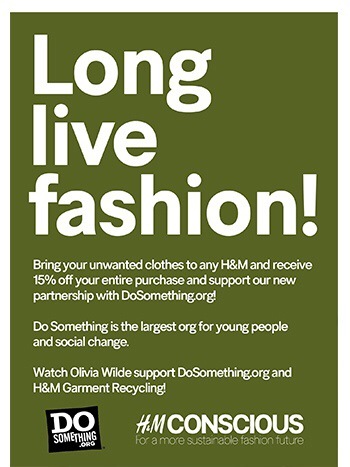 It seems like another great opportunity to recycle clothes and comes without the $50.00 (USD) minimum criteria. Plus you are rewarded with an extra 15% off your H & M purchase, most likely good for that day. Win-win in my opinion. The Memorial Day weekend is coming up so that may be a good time to buy. Here is Olivia Wilde pimping the program, I don’t know if you have to text, it seems unnecessary. I am going to give it a go, will you? Categories: Cleaning house, Promotions | Permalink. I continue to clean house. I fear that this next lap may take some determination as well as some doing. It’s the things that I am having problems parting with. I find it hard to part with things that I paid a bit of money for and never found the opportunity to use. While these frivolous purchase, and if I am perfectly honest quite a few of my purchases are on the frivolous side, have reminded me to give greater consideration before I buy I am still having a harder time parting with them. I wish I had gotten some sort of use for them. Some I forced myself to use but with each moment I wondered why I wasted the money. A few purchases have been on leather goods. I was in the habit of buying a new pocketbook (because that is what I call them ever since I was a little girl and I just don’t know how to stop) whenever I saw a great sale. And I have a lot more than I need. I stopped a few years ago, but the thing about some of these leather goods is that they don’t wear out, especially when you rotate with others. I’ve been thinking that they should go to other homes. I never had the room and I really don’t need to hold on to them anymore. But just giving something that cost a few hundred dollars is a little off-putting, even if it is for charity. 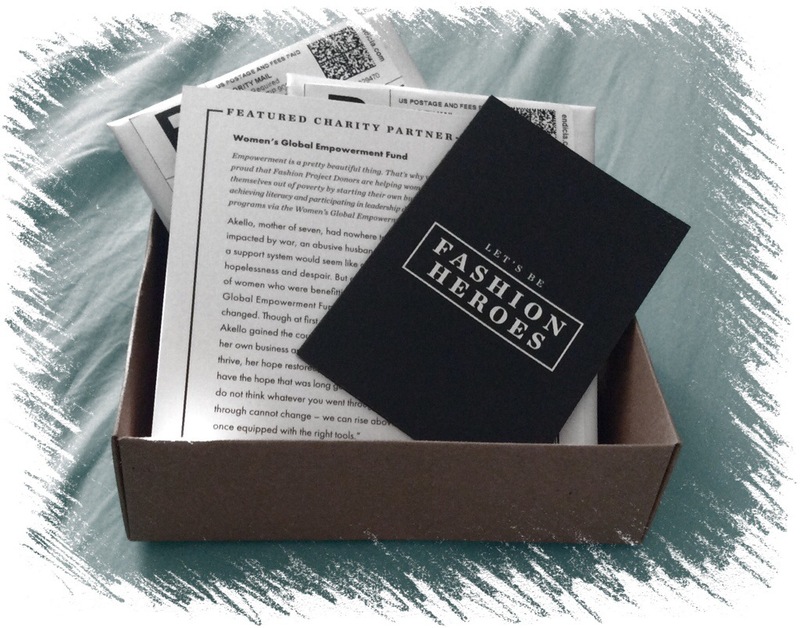 I have been toying with this idea, Nordstrom has teamed up with Fashion Project, a charity which collects and sells designer items for various charitable organizations. There are a few criteria, one of which is that the retail value should be $50 or over and that it must be in nearly new or great condition, the items must also be included on their list of acceptable brands. As a reward should your donation meet the criteria they will send you a $40.00 Nordstrom Gift Card. So that is nice (mind you, you are sending them over $250.00 worth of your own valuables). All you do is sign up and request the mailer bags be sent to you. Then you mail in your stuff and hopefully get your gift card. If you are in doubt, you can talk or email the concierge. I got my little box in the mail and thought I would post it, I think because I like when folks take time to try to send things through the mail in a nifty way. I am still trying to figure out what I should send so I can’t say how well the process goes. I also wonder if Canada is included, I was not too sure, but I believe that you have Nordies over there. Hmm…. Categories: Cleaning house, Promotions, Viewpoint | Permalink.